Quick summary: This lesson incorporates clips from Blue The Film as learning inspiration. Students investigate what types of plastics are found in a typical lunchbox. They explore how long these plastic items take to breakdown if they are not reused or recycled. Students are then asked to compare and contrast single use plastics to reusable plastic items. Finally, students take part in an eco-cooking demonstration by creating a Great Pacific Garbage Patch Soup, reflecting on the impact that plastics have on our oceans. Students recognise the different types of plastics that are found in lunchboxes and where they may end up if they are not reused or recycled. Cross-curriculum priority: Sustainability OI.2, OI.9. Relevant parts of Year 3 Science achievement standards: Students describe how they can use science investigations to respond to questions. Relevant parts of Year 4 Science achievement standards: Students apply the observable properties of materials to explain how objects and materials can be used. They identify when science is used to understand the effect of their actions. Unit of work: Blue The Film: Inquiry – Years 3 & 4. Level of teacher scaffolding: High – lead activities and discussions. 10 – 12 different types of lunchbox items, including plastics wrappers (biscuit and chip packets), plastic cling wrap, straws, recyclable juice boxes, fruit (apple/banana) and a lunch box for the longest lunch demonstration. Put the objects into the lunchbox to represent a student lunchbox. Equipment needed for the eco cooking session: large bowl, wooden spoons, water, two pairs of scissors, plastic items, ladle and small bowls. 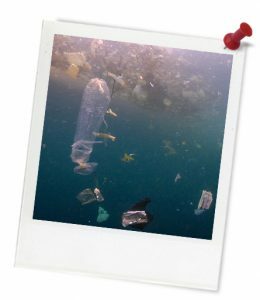 Keywords: Blue The Film, ocean conservation, waste, plastic, Great Pacific Garbage Patch, degradation, recycling, reusing, Venn diagram. Learning intention: Students learn about the different types of plastics that are found in lunchboxes and where they may end up if they are not reused or recycled. Know some of the different types of plastic found in a typical lunchbox. Know some of the ways we can reuse plastic. 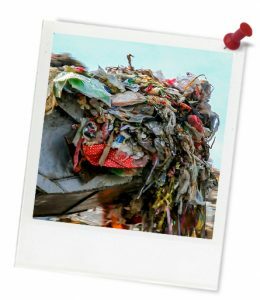 Know what the Great Pacific Garbage Patch is and where it came from. 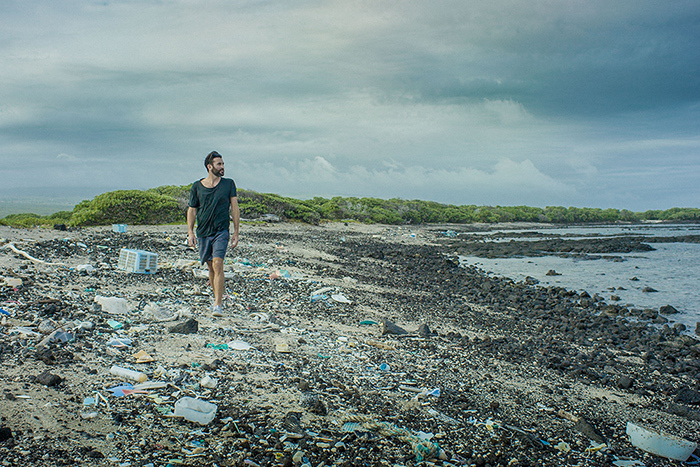 Know how our everyday choices impact on the Great Pacific Garbage Patch. Know how we can choose to use plastic in a more sustainable way. Be able to contribute to class-wide discussions. Be able to follow and participate in a class-wide demonstration. Teacher content information: From space, our planet appears as a tiny blue dot in the vastness of space. No matter where you live on our blue planet – you’re connected to the sea. Thought starter: How much plastic do you have in your house? This is a photo of a remote beach on an island in Hawaii, and even though hardly anyone visits the beach, the beach is covered in plastic. Some of the plastic you can see and identify, while other pieces are almost as small as pieces of sand. These are known as microplastics.